Or how to tell people that they’re assuming way too much about you. One of the fun things I’ve faced since coming out is dealing with an entirely different set of expectations and assumptions about who I am. Before coming out, I was perceived as a white, cisgender male and that comes with a lot of really great assumptions set with it from most of society. Now, after coming out as transgender, I’ve found I get a lot of curious questions and weird assumptions about who I must be now. These assumptions are either awkwardly dumb or perhaps a tad malicious — but I’m here to tell you most of them are weird and kinda silly. You actually don’t choose to be transgender — in fact science is getting closer and closer to definitively finding biological roots for transness. I’ve personally felt this way since I was three. It bothered me more some days than others over the first 30 years of my life, but coming out has definitely been the best decision for me to deal with the incongruence I was living with. I chose to come out and live authentically yes, but I didn’t choose to feel an incongruence with my gender for my whole known life. Also for the record, some people don’t realize until much later in life and that’s ok too. Let people do themselves. Ah yes, this popular ‘born in the wrong body’ narrative. No, I was born in the right body but unfortunately things didn’t work out the way they did for you. Some people feel this way. Some don’t. The world isn’t black and white and I’m sorry you have to learn about the grey areas now. This one is both weird and annoying to hear people ask. It’s happened — and my answer has always been something between a mix of “IDK when is yours” and “None of your business”. But for the record, a lot of trans people don’t have surgeries of any kind because 1)The cost 2)The recovery time and most importantly 3)They don’t really feel like it's necessary. Personally yes, I typically do. But the underlying assumption here is that my presentation is what makes me feel validated but that isn’t really true. I’m writing this post right now in capri sweatpants and a tanktop. Truth be told, anyone who’s known me for years would see me now and assume not much has changed stylistically because it hasn’t when I’m in chill mode for sure. But I still feel 100% valid and that doesn’t change no matter how I present on any given day. But yes, dresses are awesome and I won’t deny it. This happens a lot both with trans friends and cis friends. 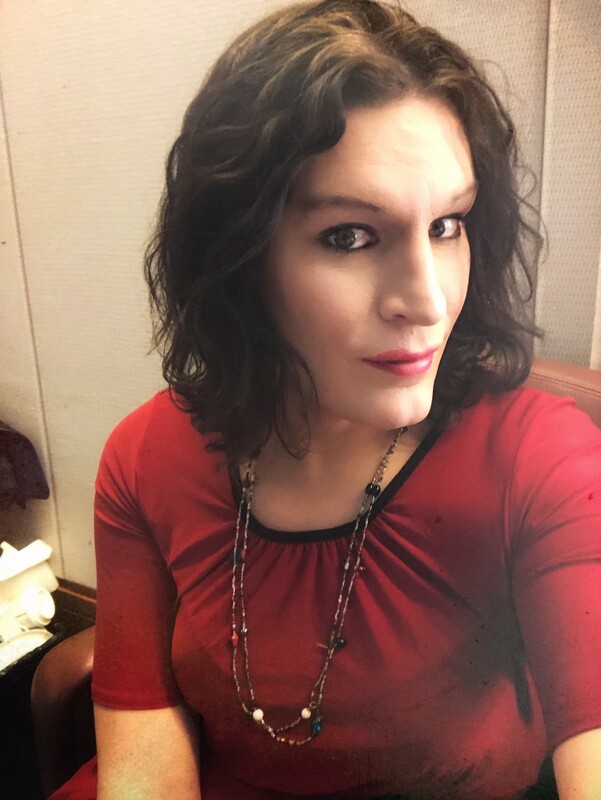 I don’t know what passing is, but I’ve been told I’m everything and nothing — as many trans people feel as well on this issue. The thing is, I don’t have to ‘look’ like anything but myself to be valid. If your focus on whether I’m valid as a woman or a trans person or a human is that I fit within what you feel a person of a gender identity should look like or not, let me raise to you the possibility you have completely missed the whole point here. Also yes, I know that I look a lot like I’ve always looked — it’s amazing how that does happen when you have a skeletal structure that doesn’t magically change. Also…I don’t think this matters that much. People look like people look and let’s quit worrying about people’s exteriors and instead judge their actual beauty as to the content of their souls. This is a weird one too. I’m still trying to figure out if this is a compliment or a put down or something in the middle. I’m not sure I care that much and I’ll just take the compliment. Just know that you sure haven’t changed much either, but you do indeed look great as well! The last thing I’ll leave you with dear reader is that trans people are a diverse lot; just like cisgender people. Each trans person has a lot of things we’re after when coming out as trans, and no two people have the exact same goals. If you aren’t trans but you are on here wondering how you can be a true pal my answer is and will always be: be a true friend and support your trans friends like you would anyone else. We have good days. We have bad days. We look great some days. Some days, we consider a miracle that we are able to not have our clothes on inside out with mismatched socks. Some days we’re mentally healthy, other days we’re struggling to get by. Or put another way: we really aren’t all that different from anyone else, including you. Me being me. Which in this particular photo means waiting around at work to get a press conference started.